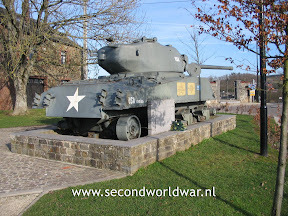 Beffe, M4A3(76)w Sherman tank. Located in the square near the church. Up to 1984 the tank had remained in it's spot in a along the road between Magoster and Beffe where it had been left by the Americans in 1944. 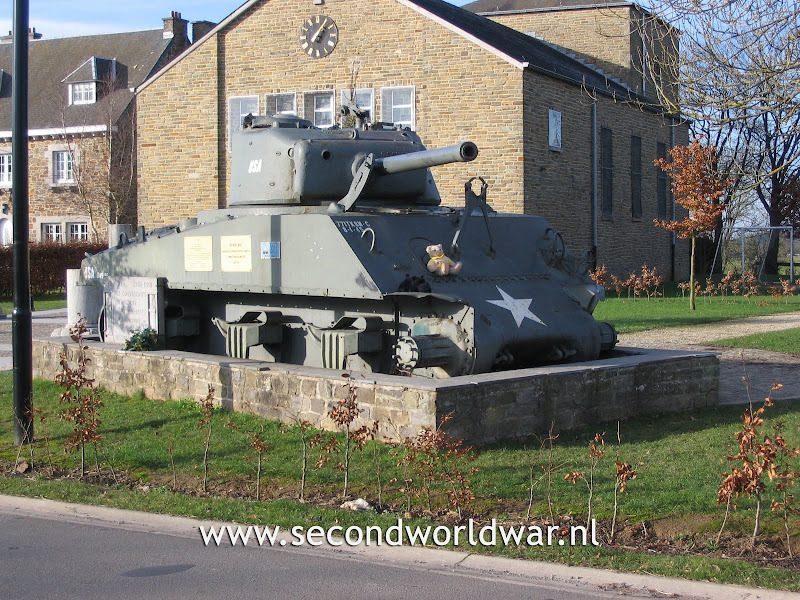 In 1985 it was placed on it's current location in the town of Beffe. 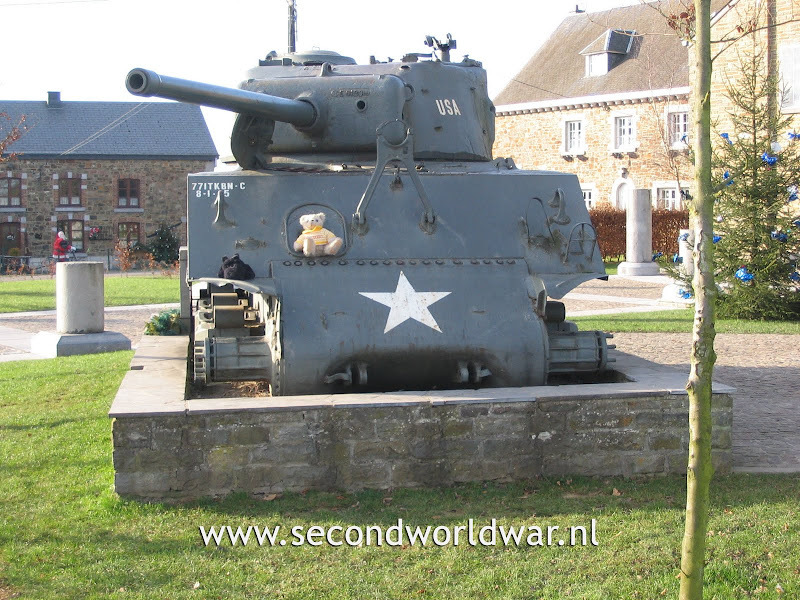 Beffe, M4A3(76)w Sherman tank. stripped by relic hunters after the war. 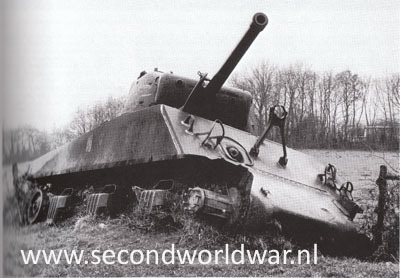 This sherman of the 771st Tank Battalion was a possible casualty of Gefreiter Sielemann of 2. Kompanie, Grenadier Regiment 1129, according to Jean Paul Pallud in his book "Battle of the Bulge then and now." The Sherman tank at Beffe before it was moved to the town square where it rests today. 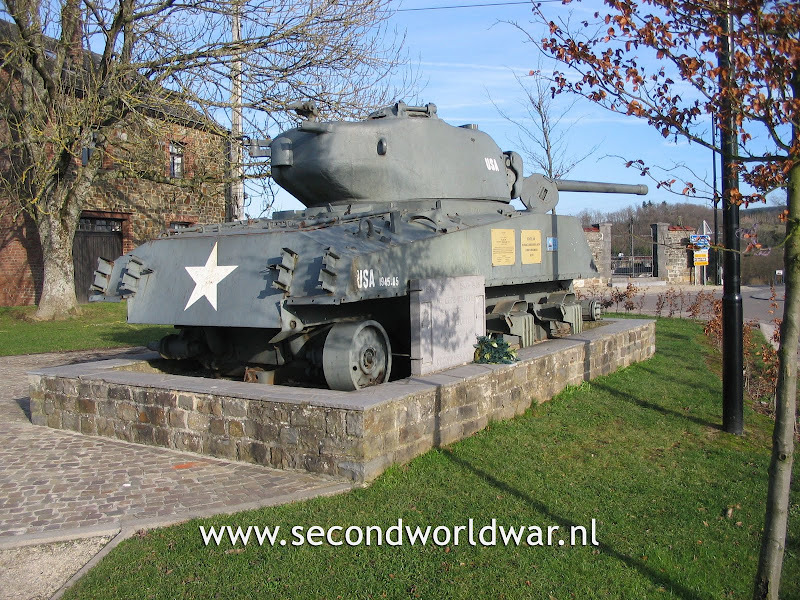 Photo from the book "The battle of the bulge then and now" by Jean Paul Pallud. All the above recent pictures where made by the webmaster.